Rachel Von | The Journal Gazette Former NBA player DeQuan Jones goes up for a basket on the way to 42 points in a Mad Ants game in March at Memorial Coliseum. The Mad Ants’ presence in Fort Wayne seems secure for the near future. The G League basketball team and Memorial Coliseum have agreed to terms on a two-year lease, something both sides had said for months they felt was merely a formality. The lease still needs to be approved by the Coliseum’s Board of Trustees, but Brown perceives that as a mere formality. The new lease has an option for a third season. “It can be extended for an extra year with mutual consent of the parties,” Brown said. The Mad Ants have played at the Coliseum since their inception in 2007 and they were purchased by the NBA’s Indiana Pacers in 2015. However, they were interested in being a tenant of a proposed $105 million downtown arena for which Mayor Tom Henry shelved the plans last Nov. 17. Since then, the Pacers have been relatively mum on their long-term plans for the Mad Ants, and their previous lease with the Coliseum expired this week. However, everyone was clear on where they wanted the Mad Ants to be at least in the coming season -- at the Coliseum. 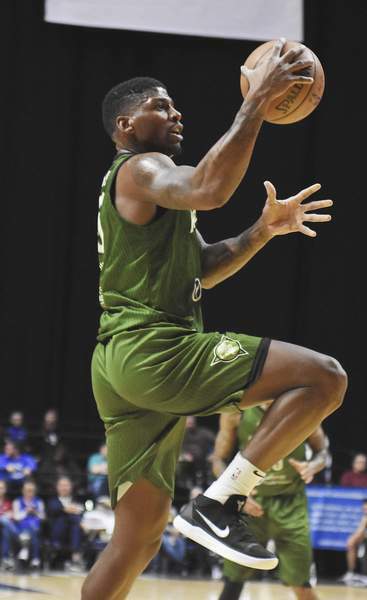 The Mad Ants had announced May 30 their “priority home dates” for the coming season, which included promotions that would be at the Coliseum such as a Feb. 1, 2019, Superhero night and a March 23, 2019, bobblehead giveaway, as they continued to negotiate a lease. The Mad Ants won the G League championship in 2014 and reached the finals in 2015. They have made the playoffs the last two years, losing to Erie in the one-game conference semifinals, at the end of a season that saw Trey McKinney Jones and Walt Lemon Jr. make their NBA debuts with the Pacers and New Orleans Pelicans, respectively. A full schedule hasn’t yet be announced for this season, but Mad Ants fans will see improvements to the building. The advances should help the Mad Ants with things such as highlights, displaying statistics and promotions. The Coliseum board is expected to agree to the lease Tuesday.